World Showdown of Esports - the main rival to IEM? Home Events World Showdown of Esports – the main rival to IEM? The World Showdown of Esports (WSOE) – ESP Gaming‘s latest venture – has just unveiled its very first tournament, WSOE 1 – could this be the start of a structure ambitious enough to dethrone the Intel Extreme Masters (IEM) series from ESL and Intel? Poised as a “premier, multi-genre esports tournament series”, WSOE plans to offer monthly fight card-style action all around the world – literally. The events will be broadcast live on Twitch. The only other tournament series that’s doing such a thing is IEM, but even that isn’t quite as regular as WSOE plans to be. IEM currently schedules in three events a year, with popular games like Counter-Strike: Global Offensive, StarCraft II, and PlayerUnknown’s Battlegrounds all taking centre stage. If WSOE can pull off its eager plans to host a tournament of this scale (or bigger) every month, then it’s hard to underestimate it and to say it can’t overtake its competitors. Jeff Liboon, President of ESP Gaming said the following regarding WSOE: “ESP Gaming is bringing a new type of esports tournament to the gaming community that ensures every single match is a must-see event featuring top competitors in a drama-filled showdown. The WSOE will highlight the most compelling narratives in competitive gaming driven by the very essence of what makes traditional sports so popular, the players. The WSOE will represent what gamers really love about esports with the intensity turned up to the max”. To celebrate the announcement, ESP Gaming has partnered with Auzom – a company it acquired in April – to host the PUBG Pan-Continental on July 14-15th with 16 teams, including OpTic Gaming and FaZe Clan, battling it out for their share of the $100,000 prize pool. What will interest many esports fans and sceptics alike is the involvement of Richard Lewis as the Director of Talent for WSOE. Lewis is a journalist, analyst, and former full-time host for ELEAGUE who has been teasing his next move ever since he departed the Turner & WME-IMG-owned company. He will oversee the on-air personalities for WSOE. Esports Insider says: If WSOE can pull off events at the scale of IEM’s offering with a more frequent turnaround then it could be a serious threat to the series. 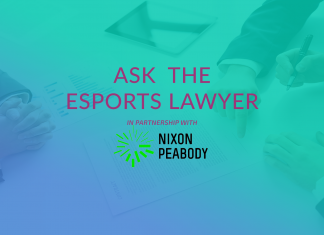 Merging a UFC/boxing fight card approach with esports is definitely an interesting idea, so we’re intrigued to see what Richard Lewis and co. have up their sleeves!